New Launch Options For Small Satellite Companies, By Curt Blake, Senior Vice President & General Counsel, Spaceflight Inc..
Moore’s Law, hardware miniaturization, and terrestrial cloud computing are rapidly expanding into the satellite industry. The inclination to ignore small satellites and the firms that develop them as only a minor segment of the satellite market is no longer an option... companies, large and small, are committing valuable resources into the design, building and launching of small satellites. Additionally, small satellites, from picos to CubeSats, are proving themselves to be highly effective in managing their highly targeted missions. Last month, one of the most recognizable companies in the small satellite market, Clyde Space, based in Scotland, was pleased to learn that Stephen Greenland, one of the firm’s system engineers, had been awarded a major grant—the acclaimed Industrial Fellowship from the Royal Commission for the Exhibition of 1851. NASA + DoD Operationally Responsive Space ORS-3 Mission, ORS-3 is ushering in today the launch and range processes of the future. The ORS-3 enabler launch mission packed the SPTSat-3 spacecraft and a number of CubeSat experiments, all sponsored by the Operationally Responsive Space (ORS) office (http://www.ors.csd.disa.mil), the U.S. Air Force Space & Missile Systems Center’s Space Test Program, and NASA’s Educational Launch of Nanosatellites (ELaNa) program. University of Hawai’i at Manoa— Ho’oponopono-2 (H-2), Ho’oponopono 2, or H2, measures 4 inches by 4 inches by 13 inches, about the size of a loaf of bread, weighs less than 9 pounds and cost $220,000 to build. This is the first University of Hawaii (UoH) -built satellite to be launched into space and will fill a critical need by performing radar calibration and performance monitoring for the U.S. Department of Defense and NASA radar stations that track missiles, aircraft, rockets, satellites, asteroids, and space junk. University of Kentucky—KySat-2, KySat-2 successfully launched on November 19, 2013 out of Wallops Island, Virginia. KySat-2 is the second CubeSat nanosatellite entirely designed, built, and tested by students of the University of Kentucky and Morehead State University. University of Alabama in Huntsville—ChargerSat-1, ChargerSat-1 is the University of Alabama in Hunstville’s first entirely student built CubeSat. The University of Alabama in Huntsville's (UAH) Space Hardware Club’ s ChargerSat-1 is a fully operational, orbital satellite, ~1kg in weight and is a 10cm cube fitting to the CalPoly CubeSat standard. ChargerSat-1 is meant to demonstrate the full capabilities of all of the systems needed for satellite operations. The program involves members from 7+ UoA departments exercising their skills in developing a satellite, ground station, and testing program. University of Florida—SwampSat, Our idea is that you could mass produce these small satellites and launch 10 or 20 from a single launch vehicle. 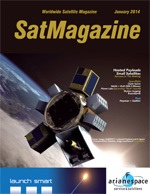 SwampSat, the first picosatellite developed by researchers in the University of Florida’s (UoF) College of Engineering, was successfuly launched into space from Wallops Flight Facility in Virginia as a payload with the ORS-3 mission. University of New Mexico—Trailblazer, Trailblazer will provide a proof of concept to an Air Force sponsored technology called Space Plug and Play Architecture (SPA). On November 19th, 2013, the NASA Wallops Flight Facility launched a Minotaur 1 rocket with 13 small satellites aboard, including one constructed by University of New Mexico (UNM) researchers and students. Thomas Jefferson High School—TJ3SAT, TJ3SAT helps accomplish the primary mission objective by giving students and other amateur radio users the opportunity to send and receive data from the satellite. TJ3SAT is joint project between the Thomas Jefferson High School for Science and Technology and industry partners to design and build a CubeSat to increase interest in aerospace technology, as part of NASA’s Educational Launch of NanoSatellites (ELaNa) program. Drexel University + The U.S. Naval Academy—DragonSat, The satellite’s mission is to photograph the Earth from its orbit at roughly a 350km altitude. The DragonSat-1 Project is Drexel University’s iteration of a CubeSat project and follows the established CubeSat standards, developed by California Polytechnic State University and Stanford University. University of Louisiana at Lafayette—CAPE-2, A small group of students headed for their control stations, where they received a signal that let them know the satellite was where it should be: in orbit about 225 miles above Earth. Cheers erupted in the CAPE-2 lab in Madison Hall when the Minotaur 1 rocket lifted off from NASA’s Wallops Island, Virginia, facility at about 7:15 p.m. Tuesday, November 19th. NASA Ames Research Center—PhoneSat 2.4, It is first of the PhoneSat family to use a two-way S-band radio, allowing engineers to command the satellite from Earth. PhoneSat 2.4, NASA’s next generation smartphone CubeSat, has phoned home. The tiny spacecraft that uses an off-the-shelf smartphone for a brain has completed checkout and sent back data confirming all systems are “go” for the spry spacefarer. When engineering students Steve Massey and Maria Barna were recruited to work on a project in the St. Louis University’s (SLU) Parks College of Engineering, Aviation and Technology a year and a half ago, they said they never expected to be making Saint Louis University history. The moon is the goal, and the development of a small satellite that can orbit or perhaps even land on the lunar surface is the mission behind this project. Millennium Space Systems, The company offers satellite platforms, subsystems and design study services. Millennium Space Systems is a privately held, employee-owned company that was founded in 2001. The company provides alternative and relevant solutions to today’s aerospace challenges and designs flight systems and develops project solutions for the Intelligence Community, Department of Defense and National Aeronautics & Space Administration. Planet Labs, The company plans to launch 32 satellites on four different launch vehicles in 2014. One company prefers the term “flock” to “constellation” and one might well ask how this differentiates from the more commonly used term. Both are congregations of technology, a bevy of devices that perform either a specific function or a broader range of services. This company is only the fifth organization that has been licensed to provide high-resolution space-based imagery of Earth. What is most interesting is that their satellite, as of this writing, is this craft is the smallest satellite ever orbited that can capture imagery at better than 1m resolution. Small Satellite Conference, “The Commerce of $mall $atellites,” is going to run from August 2nd through the 7th, 2014, at the Taggart Student Center at Utah State University in Logan, Utah. Opportunity, demand, and emerging markets have sparked the imagination of entrepreneurs seeking to capitalize on the reality of small satellites to develop new businesses or government services. Supporting these exciting endeavors is increasingly available investment funding from many sources such as high-tech venture capital firms, angel investors, and even crowd-sourcing. The demand for instant, high speed, global communications services, including cellular (mobile) phones and in particular the Internet, has led to the concept of low-Earth Orbit (LEO) systems—they would operate at an altitude of 700 to 1400km and possess a polar orbit. At an altitude of 700km, the surface area to be reached by a satellite would be about 3000 x 3000km. exactEarth recently announced the successful launch of the company’s fifth AIS satellite in our exactView™ constellation. This nanosatellite, EV-5, flew aboard a Dnepr rocket on November 21, 2013 from the Dombarovskiy Launch Facility in Yasny, Russia.